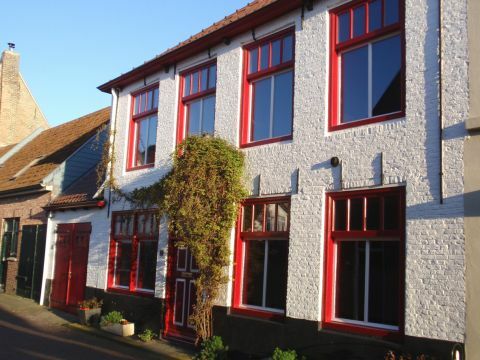 In the middle of the picturesque village Groede, with its historical core and convenient location lies this authentic family home. It has space for 10 people and is by the individual, complete facilities very atmospheric. 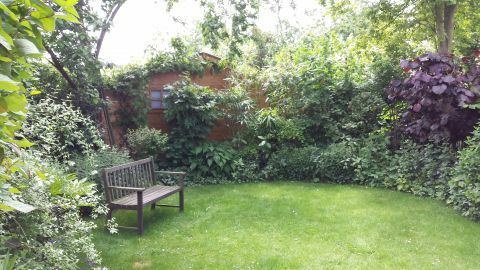 For families it is very nice to relax in the lush garden with its nice terrace and all amenities to hand. Ground floor: entry into the library and games room with old tiled floor, dining room with beautiful wooden floors and large dining table with room for ten people, cozy living room with fireplace and a fully equipped living kitchen with a large table. There is also access to TV, cd/dvd player, books, CDs, comics and games and Wi-Fi internet access. For the little ones there are 2 children's chairs. Format first floor: large bedroom with King size box spring, also usable as 2 single beds, bright bedroom with large double bed and a corner with children's bed, a spacious bedroom with a double bed, then the bright bathroom with bath, separate shower and 2 washbasins and the fourth bedroom with bunk beds for 2 persons and extra camp bed for little ones. Via a staircase you arrive at the 2nd floor in the master bedroom of the House, a luxurious attic room with King size bed and sitting area. Upon arrival, you will find all beds are made! 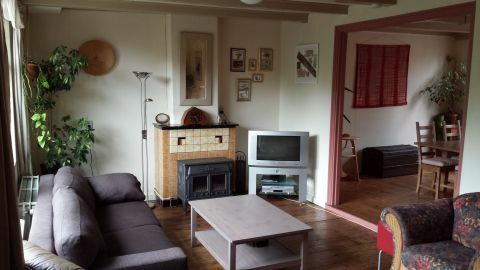 On the sheltered, South-facing terrace and in the garden you can enjoy the Sun and the pure air of Zeeland. After a nice day at the beach, nothing beats sitting together in the garden, listening to the birds singing, while enjoying a tasty snack or drink! The bikes that you may have, can be stored in a separate, lockable garage box.